Turning a devastating nightmare into a cause for change, Mark saw the opportunity to fulfill his son’s legacy with positivity. Mark was born in Calgary, Alberta, Canada and lived there until his family moved to Spokane in 1969. While in Spokane, he played football, baseball and basketball for Shadle Park High School. After an illustrious high school career, Mark selected Washington State University to continue his football and academic career. While at WSU Mark earned All-Conference honors in 1984 and 1985. His collegiate career ended with Mark throwing two fourth quarter touchdown passes just 49 seconds apart to lead his Senior Bowl team to victory. 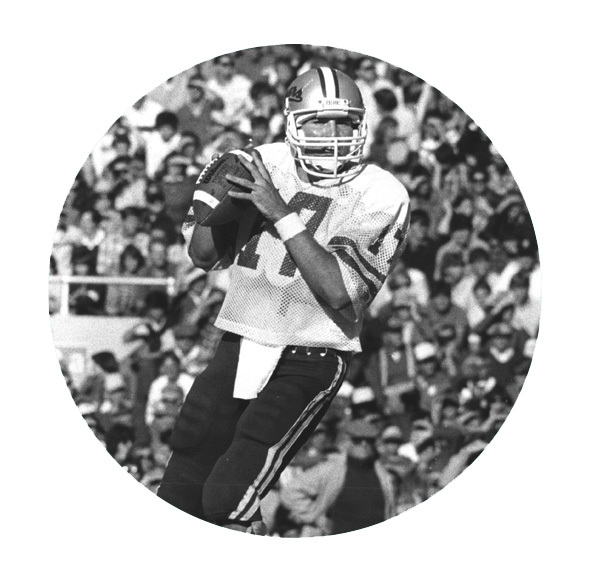 The NFL came calling, and Rypien was picked by the Washington Redskins in the sixth round of the 1986 NFL draft, eventually leading the Redskins to the 1991 NFC championship and earned MVP honors in the 1992 Super Bowl. Additionally, Mark earned two trips to the Pro Bowl. The turning point was in 1998. Mark lost his son Andrew to cancer. As he and his family walked through this nightmare, they were able to experience what families go through when fighting this potentially deadly disease. They were determined to turn this trial into a legacy for their son. In 2004 the Rypien Foundation was established with the intent to provide hope and help to families who are fighting childhood cancer. The funds the Foundation raises will go directly to support initiatives that improve the quality of care and quality of life for families fighting childhood cancer in the Inland Northwest. The Rypien Foundation identifies and funds quality, community-based non-profit organizations that provide direct service and support to children and their families battling cancer. The Rypien Foundation seeks to support programs that are meeting a critical need in our community, programs that enhance the stability, health and quality of life for children with cancer. Through a grant review process, the Foundation and its Executive Board determine programs to be funded by grants on a quarterly basis. Grants from the Rypien Foundation are made possible through the support of the many generous businesses and individuals in our community. The Rypien Foundation raises funds for grants and key initiatives through fundraising events, corporate partnerships and individual donations. © 2019 The Andrew Rypien Initiative.